Robertson and Caine S. A. Conventional shaft drives with four blade fixed props. Fusion Marine Stereo with docking station in saloon. 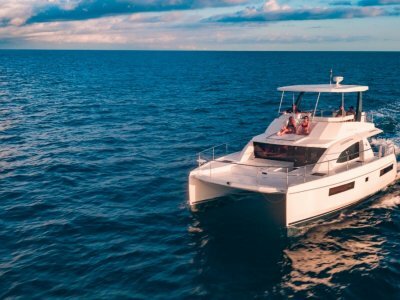 Includes Bluetooth, USB & AUX connectivity. 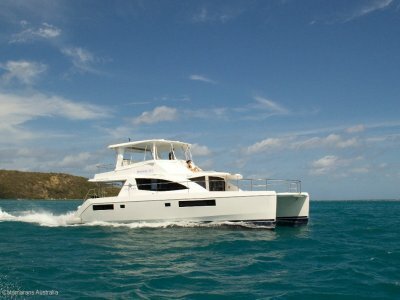 Fusion Marine speakers in saloon (2), aft cockpit (2), fwd cockpit (2) & flybridge (2). P70 colour autopilot display, A95 9" Multifunction display with WiFi and i70 Colour instrument at Helmstation. With retractable depth & speed transducers. 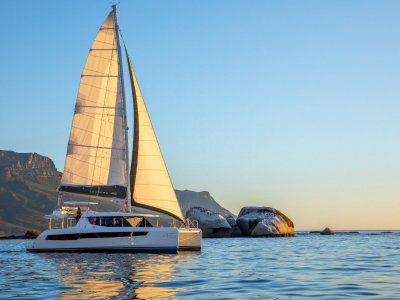 The Leopard Powercat 51 was designed by Simonis Voogd Design, and built by Robertson & Caine in Cape Town, one of the largest catamaran builders in the world. 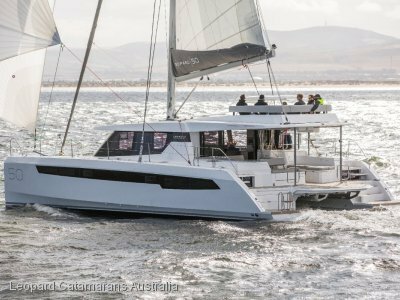 Simonis Voogd know how to design hulls, and this top-of-the-line powered catamaran has very respectable speed, efficient fuel consumption. 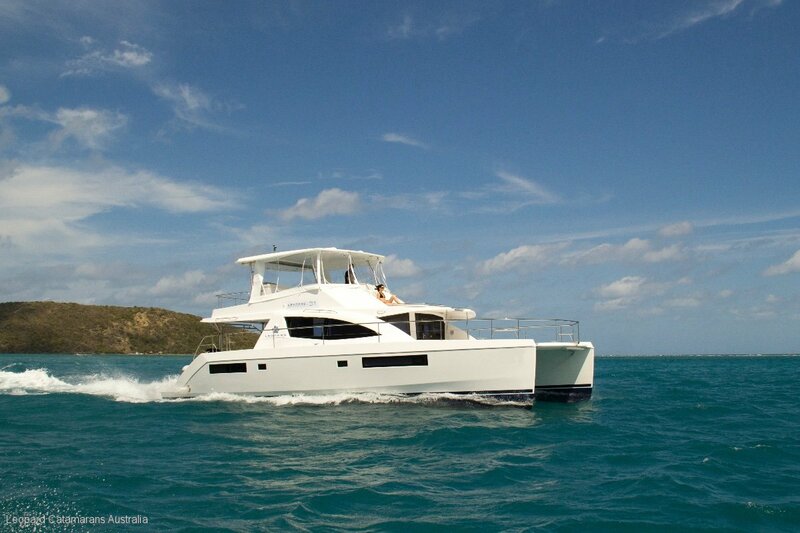 More than enough range to pop up to the Whitsunday Islands from the Gold Coast without stopping !! !